The Fourth Circuit Court of Appeals has rejected an appeal to save a 40-foot cross placed at an intersection in Maryland from being removed or destroyed. In October, a three-judge panel of the Fourth Circuit ruled in favor of an atheist group's lawsuit demanding that the Bladensburg Cross be removed from an intersection in Maryland. In a decision released Thursday, the Fourth Circuit voted 8–6 to reject a full court rehearing request on the part of the Maryland-National Capital Park & Planning Commission. Writing a concurring opinion with the majority, Judge James Wynn rejected the petitioner's argument that the cross held a mostly secular meaning, as it was part of a war memorial.
" ... to accept the Commission's assertion that the Latin cross erected at the Bladensburg intersection does not convey a predominantly sectarian message would prohibit the ability of those who raised the symbol to prominence to continue to safeguard and define its primary meaning," wrote Wynn. In one of the dissenting opinions, Judge Paul Niemeyer warned that letting the panel decision stand "needlessly puts at risk hundreds of monuments with similar symbols standing on public grounds across the country, such as those in nearby Arlington National Cemetery." "Because this ruling has such far-reaching and unnecessary consequences, it should be reheard by our court en banc, and I dissent from the vote not to do so," wrote Niemeyer. "The panel, in a 2–1 decision, will now have the monument removed or destroyed because, as it concludes, its presence on public land amounts to a violation of the Establishment Clause, although no Supreme Court case has ever held that the Establishment Clause prohibits such monuments." 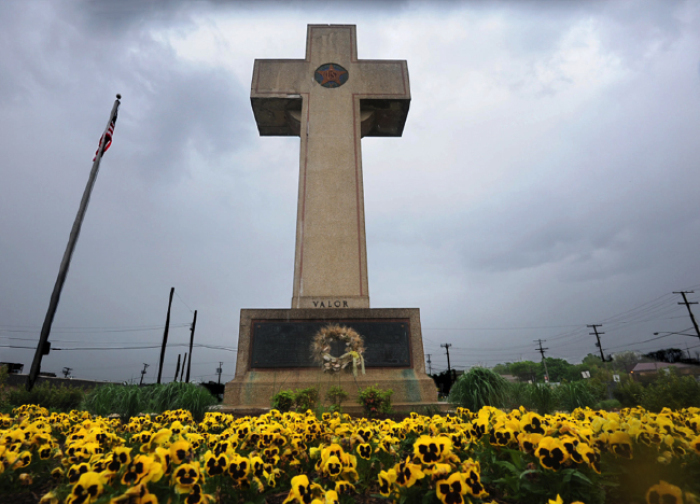 Placed at the intersection of Maryland Route 450 and U.S. Route 1, the Bladensburg Cross was an American Legion memorial project completed in 1925 meant to honor those who lost their lives during the First World War. In 2012, the American Humanist Association sent a letter to the Maryland National Park and Planning Commission demanding that the cross be removed. In late November 2015, U.S. District Judge Deborah K. Chasanow ruled in favor of the cross, arguing that it did not have an exclusively religious purpose. "Although the Latin cross is undeniably a religious symbol ... Other courts have recognized that displaying a cross to honor fallen soldiers is a legitimately secular purpose, and does not always promote a religious message," wrote Judge Chasanow. "The Monument's groundbreaking was a predominantly secular affair that also included the groundbreaking of the National Defense Highway." AHA appealed Chasanow's decision in December 2015 and in October of last year, a three-judge panel ruled 2–1 in favor of their lawsuit against the cross. Monica Miller, senior counsel from the AHA's Appignani Humanist Legal Center, said in a statement released Thursday that the Fourth Circuit's vote to reject the full court rehearing was a "big win" for both non-Christian veterans and the separation of church and state. "The court correctly upheld its previous ruling that the cross unconstitutionally endorses Christianity and favors Christian soldiers to exclusion of all others," said Miller. 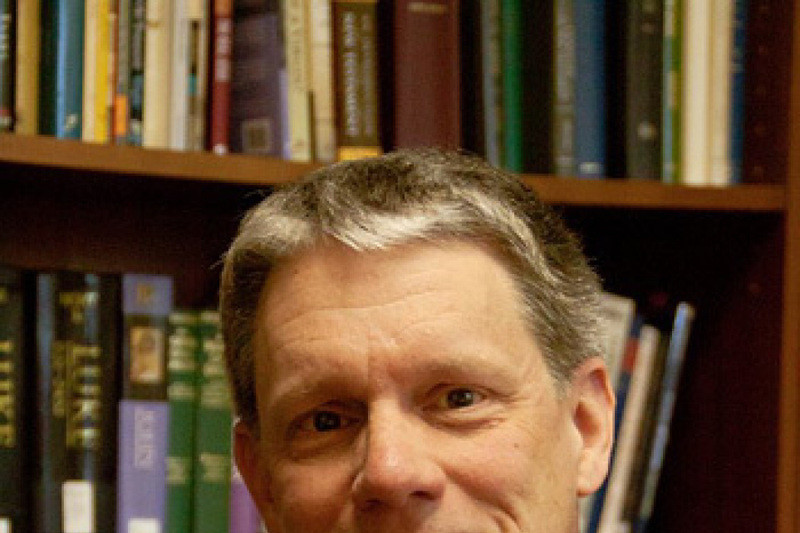 Hiram Sasser, deputy chief counsel for First Liberty, whose organization was involved in defending the cross, denounced the decision in a statement released Thursday. "The decision of the three-judge panel sets dangerous precedent for veterans memorials and cemeteries across America, and we cannot allow it to be the final word," said Sasser. "If this decision stands, other memorials — including those in nearby Arlington Cemetery — will be targeted for destruction as well. The American Legion will appeal this case to the U.S. Supreme Court."